Had The Vapours had their hit a few years later, who knows how it might have gone. 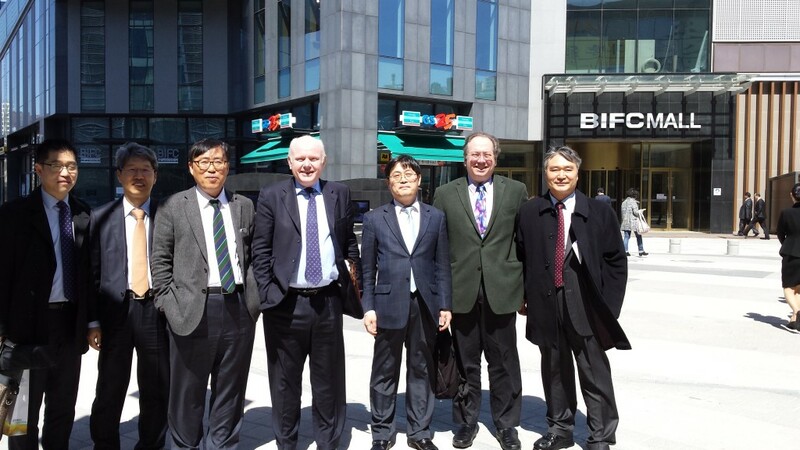 I went with my friend Mark Yeandle to launch Global Financial Centres Index 17 (yes, 17 since we started in 2005 and published from 2007) in Busan on 23 March. It was an exciting trip, though I felt rather guilty about 44 hours travel for 36 hours there. I haven’t been to Busan since the financial meltdown of 1997 and what a change it is. The city’s population has shrunk slightly, but wow has the quality of life surged – more parks, more recognition of the need for environmental protection and sustainability. Here we are with some of our hosts after the launch event with the mayor. Perhaps the most interesting bit of the trip was seeing how they focus on greeting visitors. Busan is geared to having a single administrative area where new businesses are whisked through the variety of offices they need to visit in a single day in a single area. 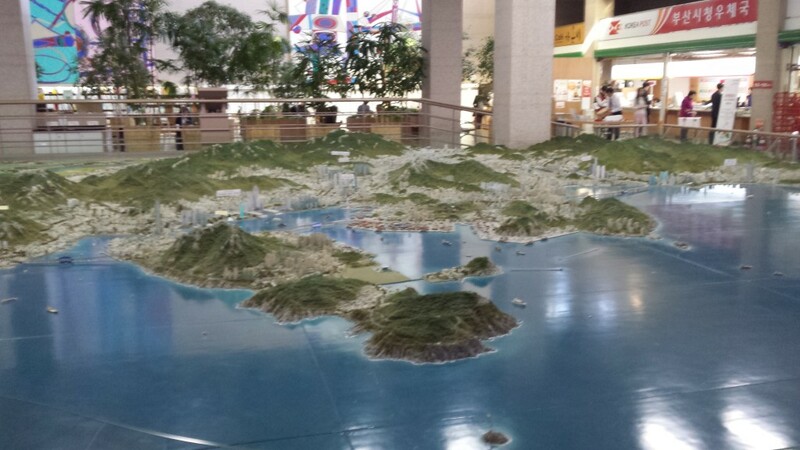 Two particularly interesting items for businesses thinking of coming to Busan were a 1:2000 and also a nearby 1:4000 scale model of the city. Here’s a photo of the 1:2000. 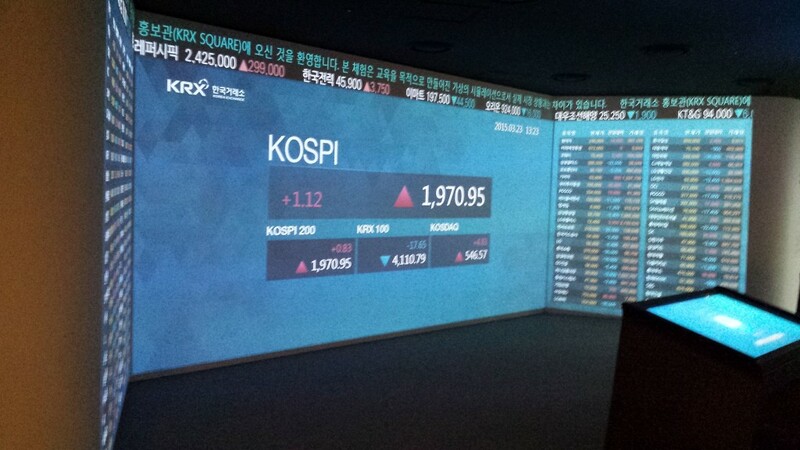 Further, the Korean Stock Exchange, which evolved from the traditional rice market trade in the port, is headquartered here. Unlike certain London exchanges, they have a fantastic museum for the public. Though talking about comparable tourism among financial centres does give me an opportunity to plug the City of London Walk of Commerce & Finance Z/Yen helped create – free ebook for the public. Heading home was hard, as I loved the food and the hospitality of our hosts, though I won’t miss some extremely, too extremely, fresh octopus. 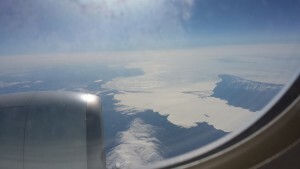 On the flight back, I cracked open a thriller written by a friend, Blue Eye by Tracy Elner, only to find that it is set on Lake Baikal – look at what was outside the window of the Korean Air flight home.